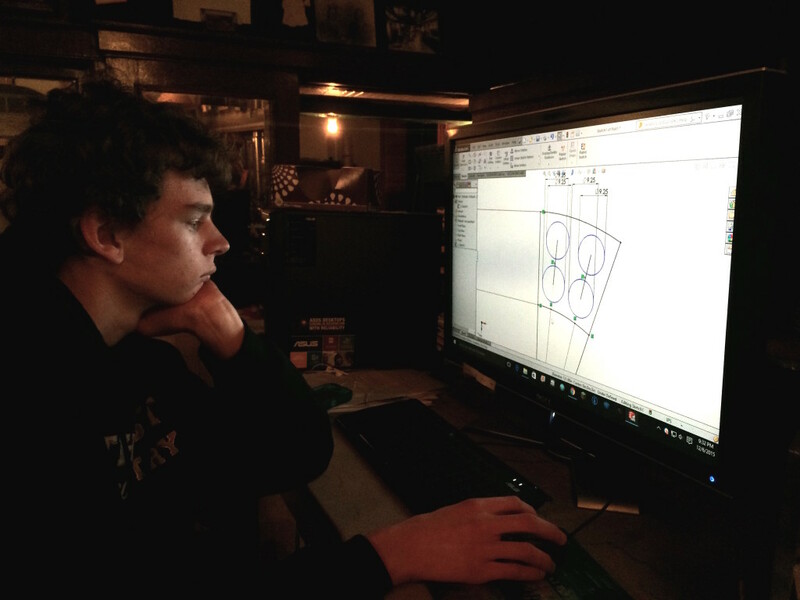 With his high school engineering education and his own imagination, Wyatt designs the stove for a small space with curved walls. Without any flat interior walls, a lighthouse needs custom-made everything. Since kitchen space is the most precious, and the sea air corrosive of steel, conventional appliances just won’t work. Wyatt’s bronze stovetop, fresh from the metal shop. Luckily, Wyatt is studying engineering in high school. 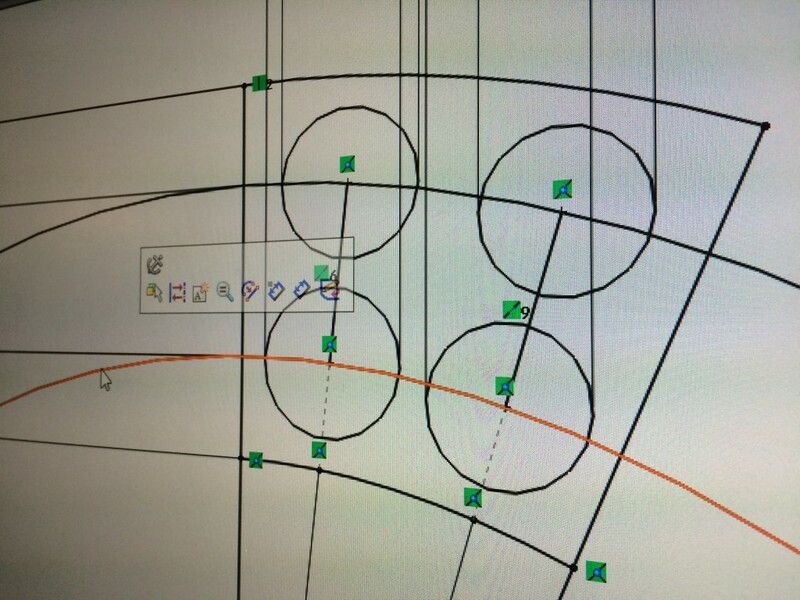 After drawing out the exact curve of the interior wall of the watch room, Wyatt whipped up a curved stovetop design on his computer. We sent Wyatt’s design to a metal shop, which crafted a stovetop out of 1/2-inch thick bronze, using a water jet cutter. The rest is up to us. We’re modifying propane barbecue burners to fit under the top and will design a curved faceplate for the knobs. Can you smell a delicious chowder simmering this summer? 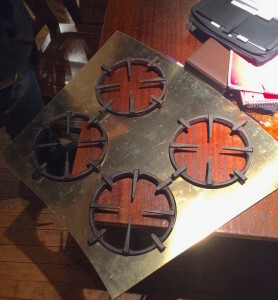 The stovetop design: Wyatt measured the curve from the lighthouse radius, for fabrication from a sheet of half-inch-thick bronze.